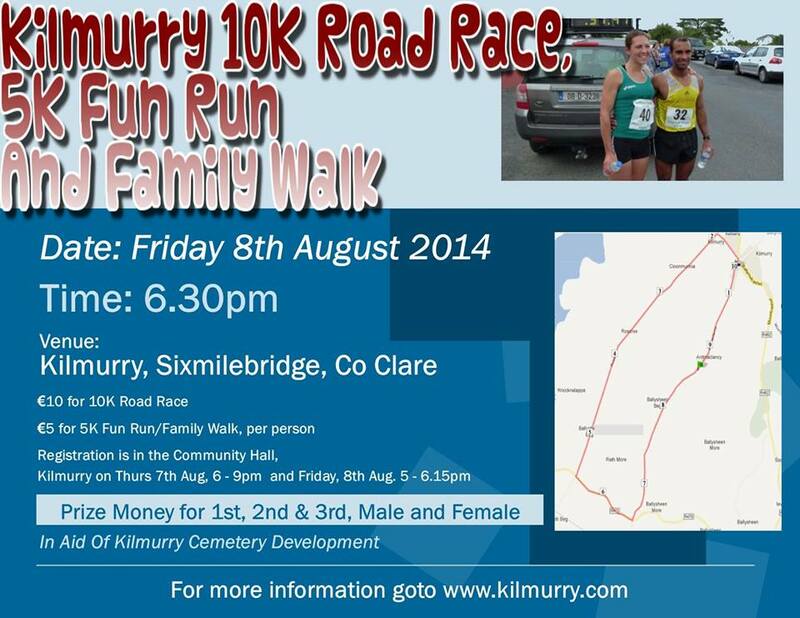 This is the 4th Annual Kilmurry 10k Road Race. It is organized as part of the Kilmurry Harvest Festival, by the Kilmurry Cemetery Development Committee to raise funds to extend and maintain Kilmurry Graveyard. Registration will take place in the Community Hall, Kilmurry. Starting 1000m back from the Community Hall towards Ardmaclancy, running in the direction of Kilmurry Village. Keep left x 30m and turn left down Rossroe Rd. Continue to the end of this road. Turn left onto the Sixmilebridge /Newmarket-on-Fergus road. Continue for 900m and then turn Left onto Ardmaclancy Rd. 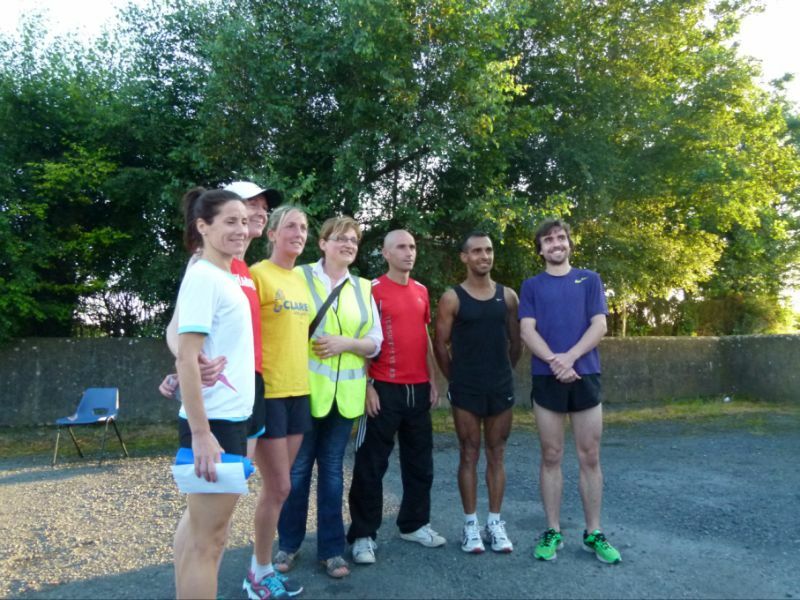 Continue to the Finish line at Kilmurry Church. See attached map of route. Marshals will be at all junctions controlling traffic. The Civil Defence /Order of Malta has been booked to provide emergency medical cover for the event. Residents on the route have been informed of the event and of the possibility of short term traffic disruption. The local Garda Station has been informed of the event and the liaison Garda is Sgt.Tracey Stanley. 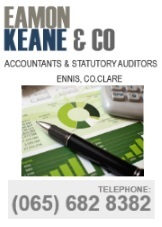 This event is included in the Kilmurry Harvest Festival Insurance. The road from Fenagh Cross up through Ballysheen/Ardnaclancy will be closed for passing traffic from 6pm – 8pm on Friday 10th August. Emergency traffic, of course, will have access. 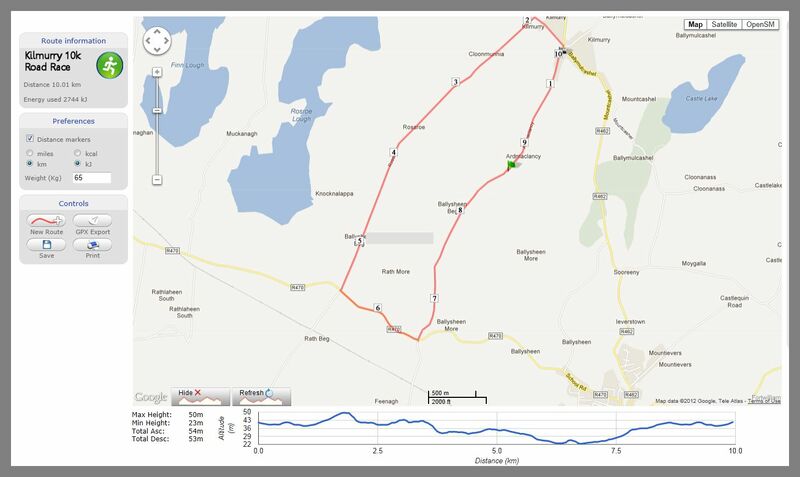 The main Newmarket – on- Fergus road from Rathmore Cross to Fenagh Cross (900 meters) will be coned on one side for runners but will have two way traffic co-ordinated by 2 x marshals at both Crosses. Traffic can be diverted to take the next left to access the next left to access the Sixmilebridge/Kilmurry Rd. From Kilmurry Cross through Rossroe to Fenagh Cross will have limited access from 6.30pm – 8.30pm. All roads will be marshalled and once the last runner has gone through, all roads will have full access restored. Festival 2014 Programme is now ONLINE.